Cleopatra II General Information - 5 Reel, 20 Payline powered by IGT. 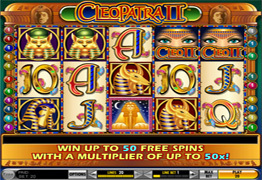 This game is the sequel to the original Cleopatra slot game with some new features. The game is based on Ancient Egypt and the beautiful, seductive Cleopatra. 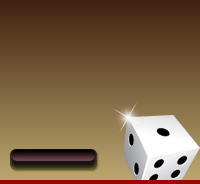 Wager from 1 to 5 credits per line with a 100 credit maximum bet. Form a winning combination with 2 wild symbols and double the award. Land all 5 Logos on an active line to win 10 000 coins multiplied by the line bet. When landing 3 or more Scatters the Free Spins bonus round will be activated. Once the Free Spins begin, the multiplier feature will come into effect. Each spin will award a higher multiplier such as for 12 free spins the final free game will award a multiplier of 12. The Bonus can be re-triggered to win up to 50 free spins. The game has stunning graphics and sounds that are similar to the old game. Many players will find the Free Spins exciting, even the High Rollers!